Join PA’s largest annual environmental citizen lobby day! 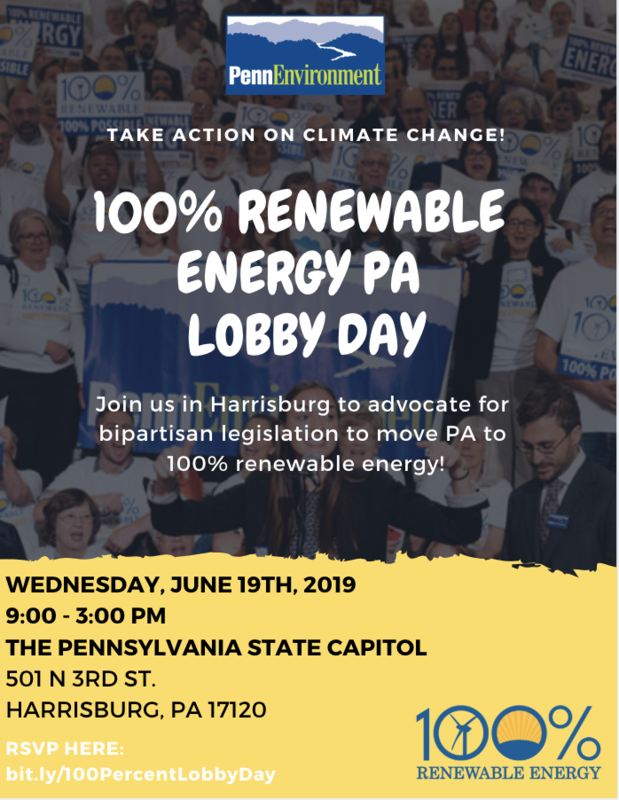 On June 19th, hundreds of citizens will descend on Harrisburg to advocate for bipartisan legislation that will transition Pennsylvania to 100% renewable energy to help solve climate change. We’ll be coordinating transportation, scheduling meetings, and will have local training beforehand. All we need today is for you to sign up!